What are the rules for holy living? 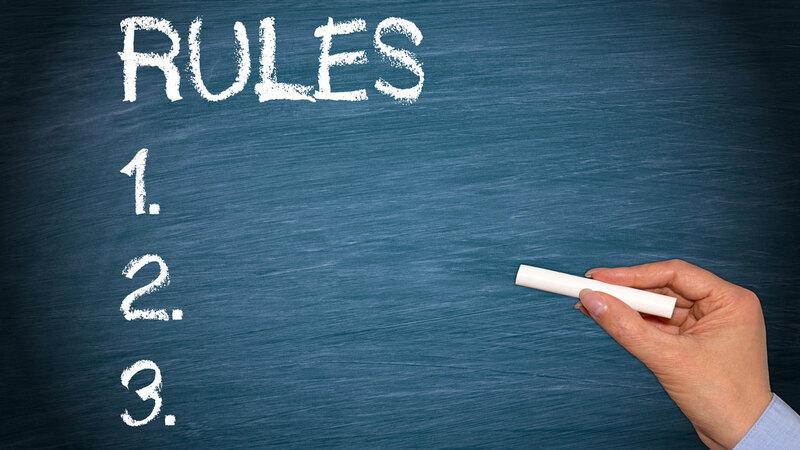 If you had to list some rules you have heard, what would you write? Holiness refers to purity, so maybe you would include rules about avoiding putting anything unclean into your body. Maybe you would include rules about washing, sanitizing, and purifying the water and air. Toxicity is a popular concept in society, relating not just to the physical elements, but also to relationships. Holy living might mean we exclude certain toxic people or media. There is much we could potentially include in a list of rules for holy living. But should we? As I am writing to Christians, I am especially wondering if God has rules for Christian holy living. This post is number 5 of 5 is a series studying Deuteronomy 14:1-21, and we have seen that God the father desired the people of Israel to live a holy life, because he treasures them and has their best interest in mind. If they followed his way of living, they would look very different from people in neighboring nations. Deuteronomy 14 was all about how different Israel would look in regard to the food they ate. But does this matter to Christians? In part 4, we studied the New Testament passages in which God overturned Israel’s food laws for Christians. For Christians, all food is clean. Does that mean Christians no longer need to practice holy living? To answer that, let’s take a look at what the New Testament writers tell us. In Matthew 5:48 Jesus teaches, “Be holy, as your heavenly father is holy.” Here Jesus is quoting the Old Testament passages on which Deuteronomy 14 is based, but he is not saying that holiness in God’s Kingdom must look identical to what holy living looked like for Israel. We know this from Mark 7, which we reviewed in part 4 of this series, when Jesus himself declares a new way of looking at holy living. What does this new Christian way of holy living look like? Thankfully, Jesus’ first followers explain it for us. What this means is that the principle of holy living does apply to Christians. Because of who God is, a holy loving father, and because of what he has done, saved us through Jesus’ life, death and resurrection, we are to live the way he wants us to live. Loved children of God, we are to be holy like our heavenly father is holy so that many others can become children of God. So what do Christian holy lives look like? If it is not about eating certain foods, what do we actually do? I am not going to try to come up with “Joel’s rules for holiness”. Instead I encourage you to read what Jesus himself taught, and as you do, you’ll see that Christian holy living is based in love for God and love for one another. Love is the basis of holiness. Children of God, you are loved so deeply by your father, that you are free to live the holy life he wants you to live. Follow him. Follow his ways. I would encourage you to discover that holy life on your own. First, read the teaching of Jesus in the biblical books of Matthew, Mark, Luke and John, and as you read, even if it takes you months, prayerfully ask God, “Lord, show me how to live a holy life.” Then keep a notebook along with you, or maybe a note-taking app on your phone, and record every place where Jesus teaches about what a holy life looks like. Prayerfully ask him to empower you to live that life. Then think about the followers of Jesus that you know. Which ones would you say are attempting to live out the way of Jesus and actually doing well at it. Ask them to help you live that way. Get their feedback and advice. Finally if you know now or discover anew that there is something unclean in your life, and God is speaking to you today to change that, surrender it to him, ask him to take it from you, and see what he will do. He has the power to transform your life. But perhaps it has been a struggle for you, for months or years, and you need help. One amazing thing that God does for his children whom he loves is that he places them in church families to help them. Don’t keep silent about your struggle. Talk with someone who can help you. And for freedom from some unclean habits, seek out professional help. Making progress in holy living is possible!